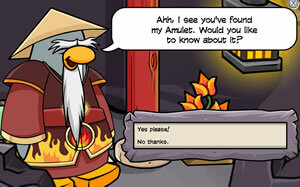 If you click on Sensei’s Amulet before playing Card Jitsu Fire, he will tell you all about the Ninja Amulet. 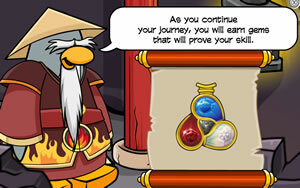 First, click on Sensei’s Amulet. 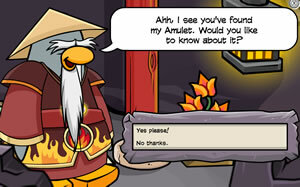 It’s under his mustache. 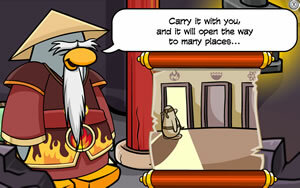 Card-jitsu water is out, all agents must be informed that the card-jitsu party is out, so if you see any dangerous fire or water activity, do not be alarmed, it’s all under control.